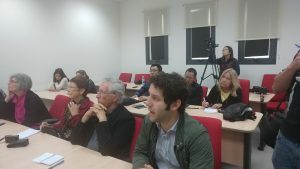 On December 4th, the JPC led a delegation of journalists to the Northern border of Israel to learn about the medical treatment of Syrians in Israel and also about the Druze community living on the Northern border. The tour began in the Ziv hospital located in Tzfat where Syrians receive medical treatment. 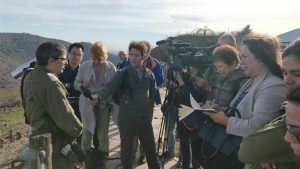 The tour continued on Mount Bental with an IDF briefing by the medical officer of the Syrian border discussing the medical treatment of Syrians and ended with a visit to the Druze community located in Majdal Shams.